Henry K. Vest was the son of James Vest and his second wife, Margaret Canady. 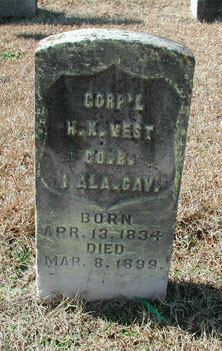 He was the brother of Jonathan Vest and half-brother of William A. and George W. Vest of the 1st AL Cav. USA and James J. Vest who fought for the Confederacy.